The last few weeks have been a blur, and often during these times spouses become team members. An additional person of responsibility to share the work of keeping the house running. So this weekend, amongst the swim meets, grocery shopping and house cleaning, we made a date. 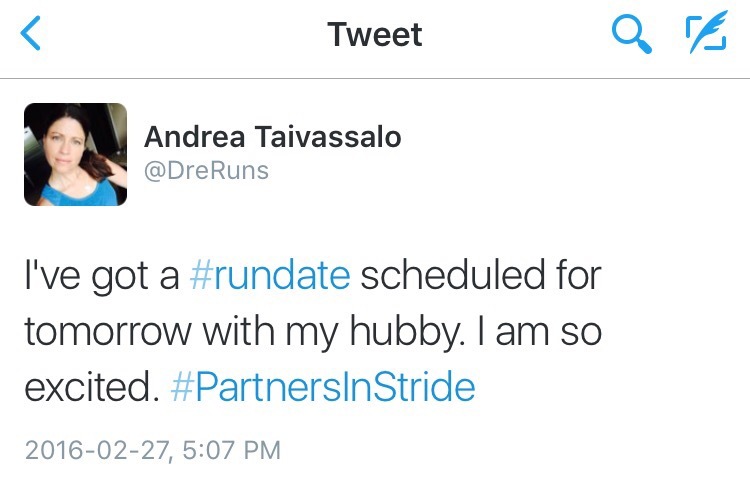 The best kind of date, a #RunDate. Little did I realize last night that I was going to need him today. I had one of “those” runs. You know the kind. Your legs are yelling at you to stop and you wonder why you stepped out the door in the first place. Not only that but, this run was supposed to be easy. It was the last longish run before my Half Marathon next weekend so the distance was shorter and should have been easy. But not today. I struggled! So what does this wonderful man do? First of all he made it fun and set up an “action shot” photo session. This is not usually my thing so I had no idea how may tries it takes people to get these things right. But that was early on. As we went further I kept apologizing for being so slow, or feeling so yucky and he kept my spirit up. Telling me not to worry, or that he was enjoying our run (even though the pace was much too slow for him). 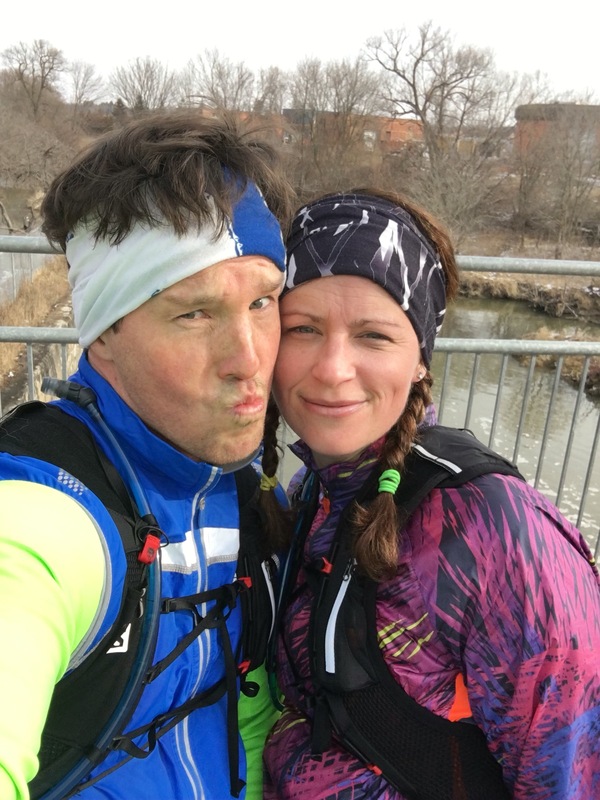 Just past halfway Petja likes to stop at a bridge for mid run selfies. I never run with my phone so this is another thing that only happens for me when I run with Pet. Of course the sheer number of pictures it takes to get a good midrun picture is astounding, but his goofy nature always makes it fun. Are You in Tune With Your Partner In Stride? 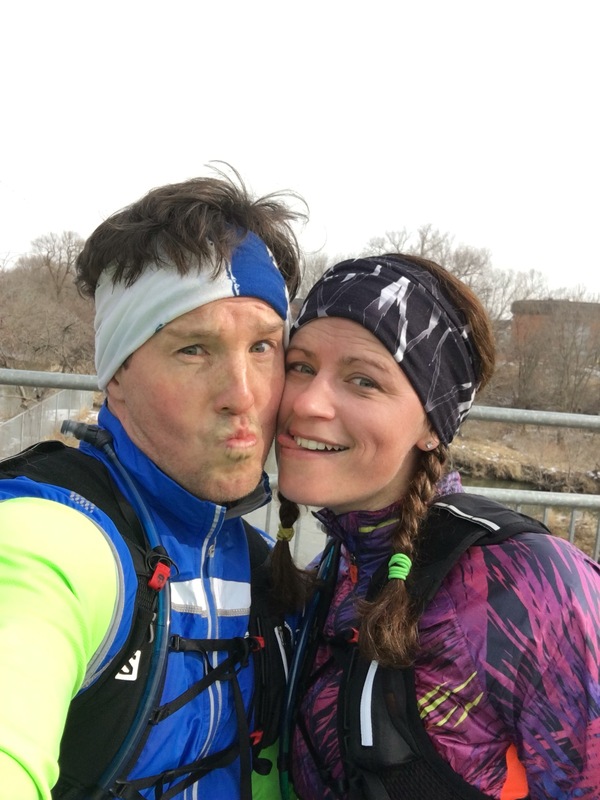 Why I Run 4 Youth Mental Health?